Chris planted some garlic and got excited when he learned that garlic scapes were edible. 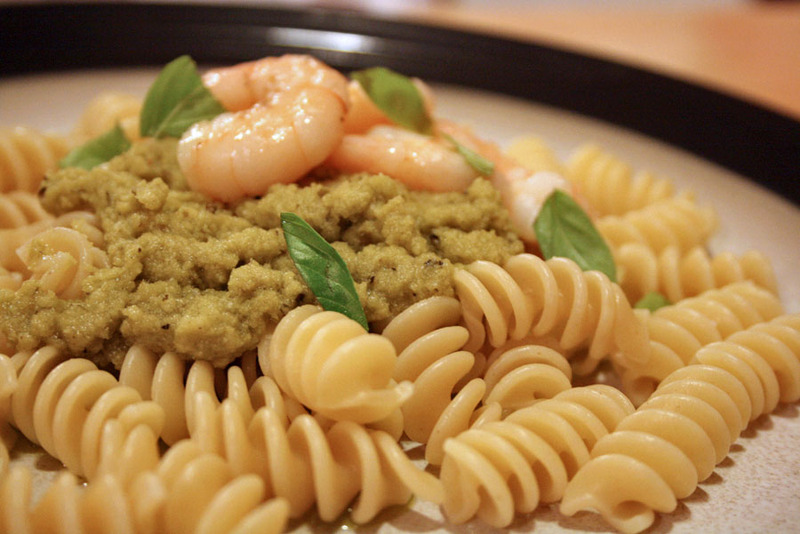 So I did the practical thing: made pesto. Clearly, we’re still on our seafood streak. 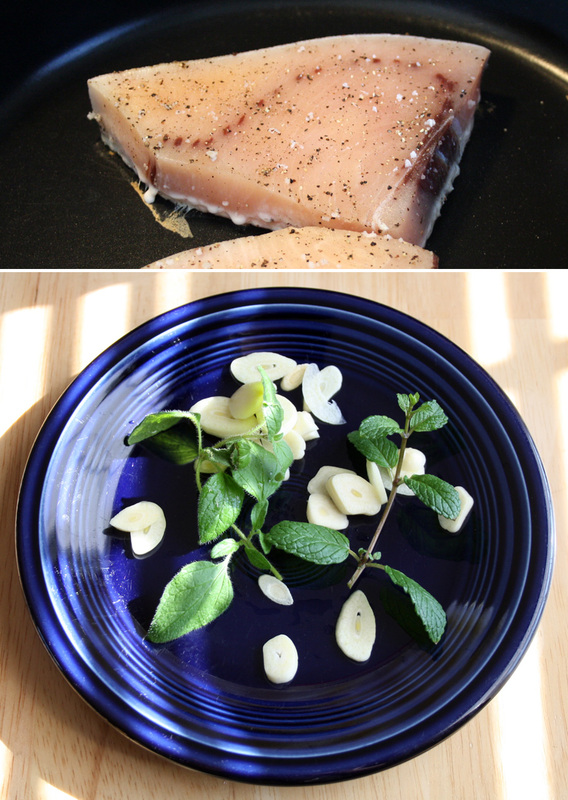 We bought a couple of fresh swordfish steaks and I tried Jamie Oliver’s recipe for lemony fish. 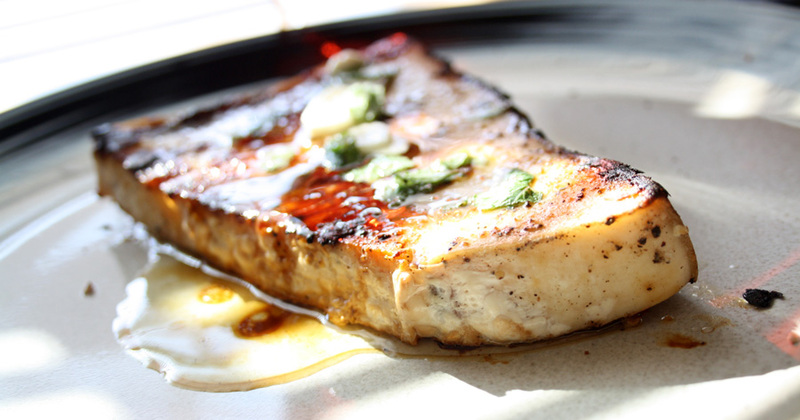 It is my first time to cook swordfish and I was curious about the extremely simple recipe. Without counting the salt and pepper, the dish only has 6 ingredients. We just got five herb plants and they’re all sitting on the kitchen’s window sill. Let me tell you, fresh kicks dry herbs in the pills. The chopped mint and oregano smelled so good and had a light but distinct flavor. Buying packs of fresh herbs every time I need them is so impractical since they’re expensive and most of them go bad before I get to use them all. Having plants is a more economical alternative — snip only what you need — plus it’s healthy to have plants indoors. I have to suggest this to my mom. I followed the recipe to the letter but used slightly less olive oil. I also think that any uncooked fish aside from sushi is icky so I took his advise and cooked it for 3-4 minutes per side. 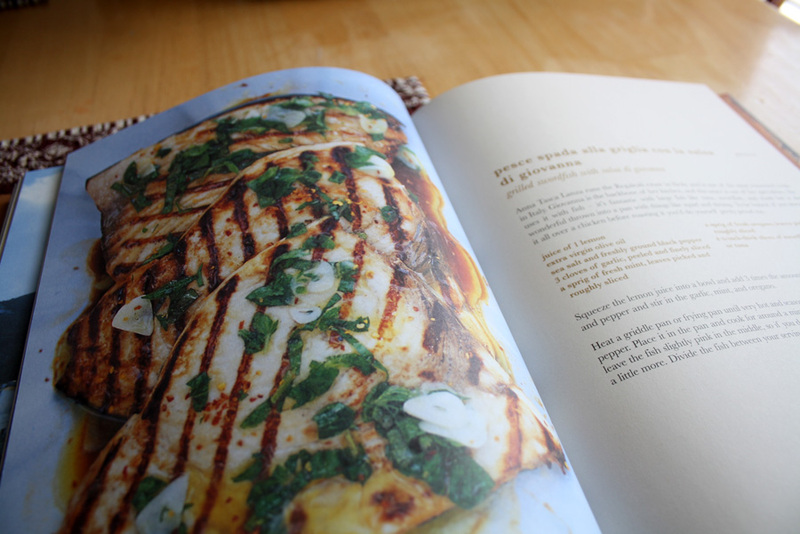 See Jamie’s recipe after the jump.